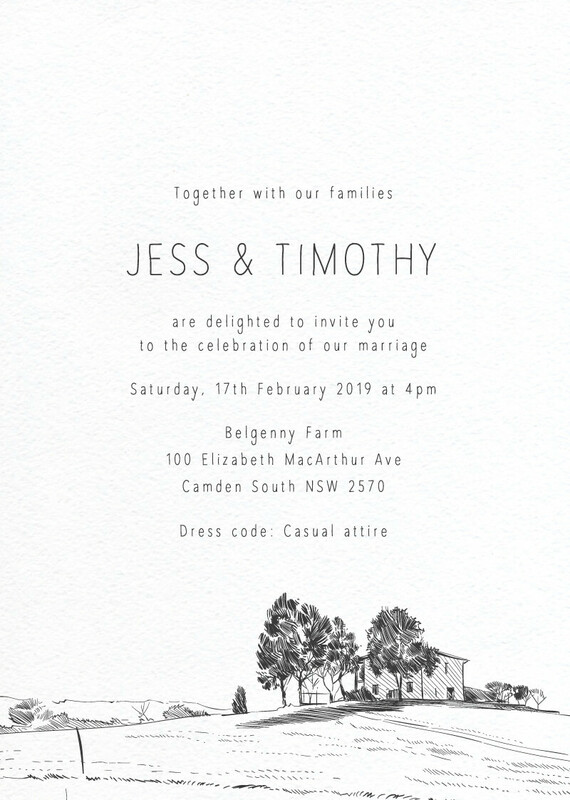 These rustic outdoor wedding invitations titled Farmyard Portrait and designed by Carrisa G draws inspiration from the country lifestyle and is perfect for those seeking a simple, low key wedding. For a barnyard wedding invite that doesn't go OTT on the rustic theme, customise this design to reflect your taste on your special day. Farm wedding invitations are perfect for any couple planning a wedding in a rural area, at a country estate or rustic barn.